According to information Fergana obtained from several sources, thousands of residents of the city of Angren in Tashkent Region of Uzbekistan are engaged in this year’s cotton-picking campaign. The area is of particular interest because its one of the sites the World Bank has financed a project. One of the conditions for obtaining a credit from WB was the prohibition of using forced labour in this very area. Simply put, the Uzbek government is grossly violating the conditions of an agreement with a foreign donor. Observers are under the impression that the World Bank leadership is simply failing to notice this screaming violation. Our correspondents on the ground contributed to the following article. An important meeting took place in the Angren state administration building right before this year’s cotton-picking campaign. The leadership of the city, utility services employees and chairpersons of blocks participated in the meeting to discuss one of the top priority matters. The matter was “completing an important state programme” of collecting cotton in Buka District where residents of Angren are traditionally taken to during the harvesting season. Mayor Rakhmanov, the regional administration and unnamed “community representatives” put together the plan of a cotton-picking campaign. In line with the plan in question, Angren Mayor, a top local prosecutor Abdunabiyev and a police chief are in charge of cotton collection. Everything was going as planned: lists of cotton-pickers were compiled and monies for supplying them with water, meals and transportation were granted. The accommodation for their upcoming several-week residence was arranged immediately ahead of the cotton-pickers departure. The practice of forced labour is widespread in Uzbekistan, where individuals and groups that have no connection with agriculture are coerced into contributing to cotton harvesting. For a case of a large industry enterprise sending “volunteers” to cotton fields, read “Thousands” sent to cotton fields in face of sacking. In line with the aforementioned state plan, over 40 labour teams were drafted, which will include some 12,000 employees of industries, cultural facilities and social services of Angren until the end of the entire cotton-picking campaign. These labour groups will be housed in nine farms in Buka District: seven will work in Buston, two will work in Gulistan, five will work for G. Azamatov, four will work in Achamayli, another four will work in Hojimetov, five will work in Parkent, another five will work in Kukaral, seven will work in Mustakil Uzbekistov and the last five groups of workers will be engaded in Ravot farms. The chairman of a residential committee has told us that housewives, female pensioners and unemployed women as well as female representatives of poor families frequently work to cotton fields. The city-hall and other state-funded organisations helped arrange and organise this year’s harvesting efforts. Of the 100 students at the Angren branch of the Vatanparvar [Patriot] Organisation for Promoting Defence of Uzbekistan have been sent to Zafarabad District in Jizzakh Region, where they are already engaged in cotton-picking activities. Private entrepreneurs cannot be that easily coerced into going on cotton fields, so the local authorities “propose” they contribute monetarily—700,000 soums (about USD150) on average. The absolute majority of these people are participating in the cotton campaign under coercion and force, save for odd-jobbers and poor families who are there to earn some money. Education, healthcare institutions and other companies traditionally send many “hired labourers” among the cotton-pickers they provide. Many citizens, who are forced into picking cotton, are ready to pay a “hired” person between half-million to a million soums to work on the cotton field instead. This fact alone is yet another compelling confirmation of the forced nature of the entire cotton-picking campaign nationwide. 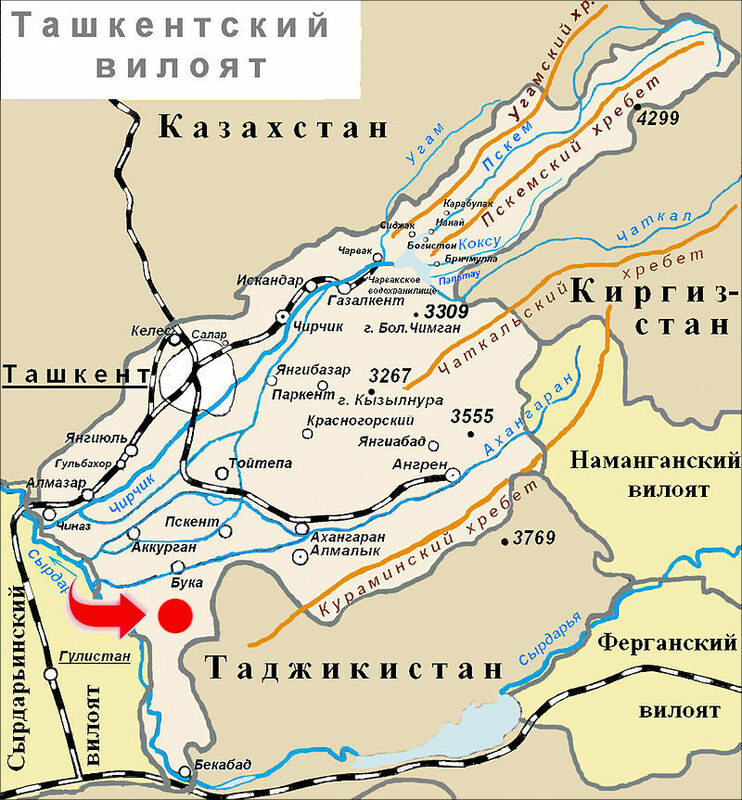 The aforementioned aspects of cotton harvesting could be characterised as rather mundane, if not for a “however.” Buka District is the only part of Tashkent Region to which the World Bank issued a credit. As said earlier, one of the requirements is the prohibition of forced and child labour. On 5-6 Aug 2015, a roundtable discussion took place in Tashkent to discuss the cooperation between Uzbekistan and the International Labour Organisation. Some 70 “trilateral” partners of the ILO in Uzbekistan were the event participants: the ministry of labour and social security, the federation of trade unions, the chamber of commerce and several other ministries on the one hand and representatives of the ILO, WB, UN, UNICEF, the embassies of the USA, Germany, Switzerland, France, South Korea and Russia on the other. The participants discussed preparations for the monitoring of forced and child labour during the then-upcoming cotton campaign. The ILO and local observers would provide monitors in those areas of the WB-financed outfit—a project of developing vegetable cultivation. The government of Uzbekistan and WB signed a loan agreement to this effect back in April, and the international donor organisation is providing USD150m from the assets of the International Reconstruction and Development Bank. The project in question is implemented in Andijan, Jizzakh, Fergana, Kashkadarya, Namangan, Samarkand and Tashkent Regions as well as the Republic of Karakalpakstan. (A list of World Bank projects and operations). That said, it is worth noting that Uzbekistan did abstain from using child labour on cotton plantations, save for several individual cases, during the last year’s cotton-picking campaign. However, the other side of this coin was the increased engagement of adults older than 18 years of age. 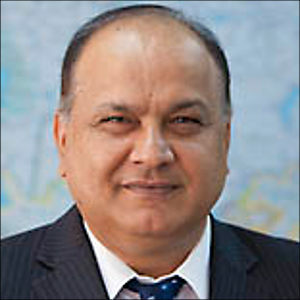 The World Bank’s website carried an interview with Saroj Kumar Jha, the regional director of the World Bank in Central Asia, on 12 Jun 2014. Mr Jha outlined his organisation’s general strategy in the agriculture sector of Uzbekistan as well as the World Bank’s attitude and position toward the use of forced and child labour. Mr Jha has also spoke about the measures the World Bank was then undertaking to prevent and eliminate force and child labour in the projects the global bank finances. Further, Mr Jha said the World Bank condemns the use of forced labour in any field and treats seriously reports on its use in cotton field in Uzbekistan. “Uzbekistan joined the World Bank in 1992. The World Bank’s mission in the country is to improve people’s livelihoods through being a partner in economic reforms, supporting the modernization of the country’s social sectors and infrastructure, and sharing its knowledge and experience with the government and the people of Uzbekistan. 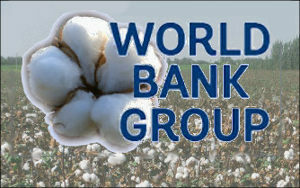 Current World Bank commitments to Uzbekistan amount to over US$1.6 billion,” the World Bank website suggests. The World Bank has seemingly managed to come to an agreement with the Uzbek government to secure its projects there from criticism on the part of the ILO and rights watchdogs—the parties that traditionally accuse Uzbekistan of large-scale use forced labour. However, the real situation on the cotton fields in Uzbekistan is far removed from what bilateral agreement clauses provide for. Based on the situation in Buka District alone, one can state that forced labour is still used in at least one WB-financed project’s area. Given the fact the employees of state-funded institutions are engaged in cotton harvesting nationwide, one may not rule out the possibility of uncovering other similar cases where the government is grossly violating its bilateral agreements with the World Bank. Howsoever, collecting and documenting all violations—the use of forced labour in this case—on the part of the Uzbek government is a very challenging task. That said, one may not rely on the international observers in this regard—they are too few in number and their movements are under too tight a control by the local state bodies. “This year, the ILO will monitor forced labour in a coordination with the government of Uzbekistan. For this purpose, 10 groups will be established and will include international experts and two Uzbek officials—if I am not wrong, representatives of the ministry of labour, who will join the group throughout the country and meet people in places. Now, imagine this: They are coming up to a person [cotton-picker] and ask ‘Have you been forced to come to the cotton field?’ Do you think that person would say ‘Yes’ in the presence of those two officials? The ILO either does not understand such a simple thing or does not want to,” Umida Niyazova, head of the Uzbek-German Forum for human rights, told Fergana. The UGF carries out its own monitoring of the cotton-picking campaign in Uzbekistan. The ILO monitor could enjoy significant assistance on the part of those very “credible local stakeholders who are knowledgeable about any potential forced labour matters (i.e., local authorities, civil society organizations, academia, and others)” that the World Bank’s Jha talked about. However, strong and independent NGOs are long gone; only desperate single rights advocates and courageous journalists remain in the country. They travel to cotton fields and document facts of forced labour. At the same time, they risk being beaten up, locked up and even being accused of espionage. This article, too, is a result of the work journalists and reports of Fergana carry out in this Central Asian country. Would the World Bank leadership pay attention to the facts contained herein? We are very hopeful.